I am so excited that today is my turn to share with you an Inspiring Autumn recipe! 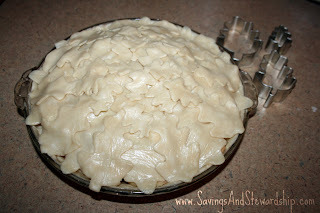 I’m going to show you how to make my famous Pear Pie – which is a creation that I came up with a few years ago and is always a hit!! See more kitchen creations in my Clever Kitchen! Be sure to also enter the other Inspiring Autumn Giveaways! One winner will receive a $25 Williams-Sonoma Gift Card. To enter, just do one, or all, of the methods below and leave me a comment for each. Be sure to leave me a separate comment for each entry & include your email address, so I can contact you if you win! Leave me a comment telling me your favorite fall recipe. Follow @savings_steward on Twitter (new & current followers qualify). 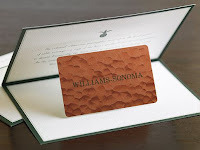 “Like” Savings & Stewardship on Facebook (new & current fans qualify). Subscribe to Savings and Stewardship by Email (be sure to validate your subscription) – current & new subscribers qualify. Oops, let me try this again! Your pear pie sounds (and looks) super yummy! Each autumn I make a pumpkin cheesecake. It is by far my family's most favorite dessert I make each year! 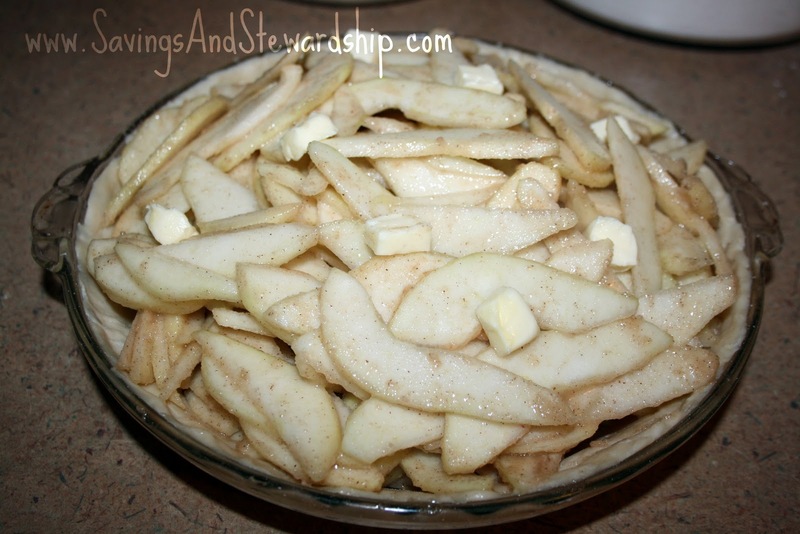 I love to make apple pies in the Fall! Oh gosh, I don't know if I have a favorite fall recipe. I really love caramel apples when it comes to food. my mom loves pumpkin pie. My aunt does have this amazing soup that I love for the fall/winter. I make Pumpkin Crisp a lot. I have already begun to make it as a special treat for my father while he is in the hospital (he loves it). is the recipe that I have used for over 10 years. My favorite fall recipe is my grandmothers pumpkin pie! Chicken in Supreme Sauce is my ultimate comfort food that's great in the Fall. I love pumkin cookies and anything with cranberries. Your pie is beautiful (I love the crust!). My favorite fall recipe is Pumpkin Pie. I usually use the recipe on the Libby's Pumpkin can. I love to make hot wassail and drink it outside when it's cool! Its the best feeling! and i love martha stewart's apple crisp recipe. just made it last night! I make a sweet potato recipe that has brandy, rum, pecans, and some other ingredients. It takes so good. Fave fall recipe is pumpkin loaf, sorta like pumpkin bread but alot more moist like cake!! My Fav recipe is my mom's apple pie. It is the best in the world! My favorite fall recipe is pumpkin donut holes rolled in sabbath spice. My favorite fall recipe is anything that includes pumpkin and/or apples. I have a pumpkin and apple bread that is the best!!! I love your posts, is there a way to print your recipe without all the ads?? Thanks for all your help. I like you on facebook!! I love pumpkin custard in the fall. Yum! My favorite fall recipe is anything to do with apples. Tonight I made apple dumplings. I love this Chai-Spiced Honey Bundt Cake I make! My favorite fall recipe is baked apples! Just core them, toss on your favorite ingredients (butter, cinnamon, nutmeg, etc), and bake! I follow @savings_steward on Twitter (blueirisheyes). I like Savings & Stewardship on Facebook (Erin M Collins). What a beautiful Pie. 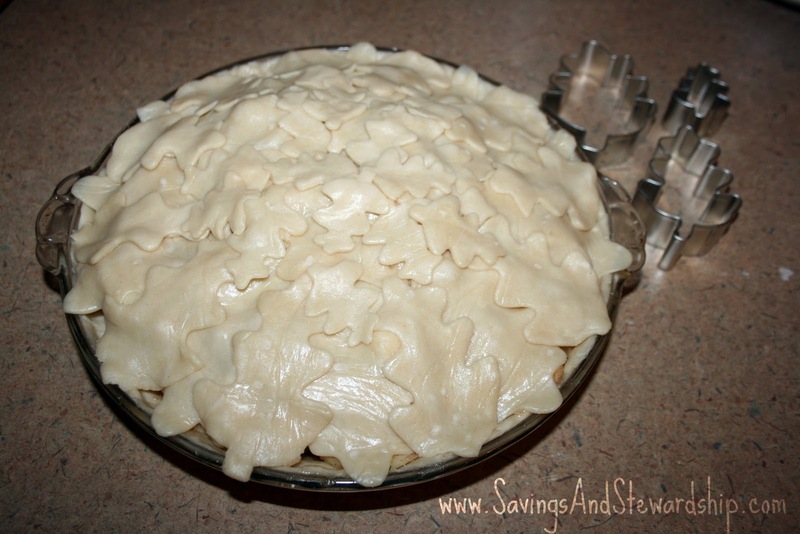 I love making Apple Pies with a latticed crust and dough birds around a fluted rim. 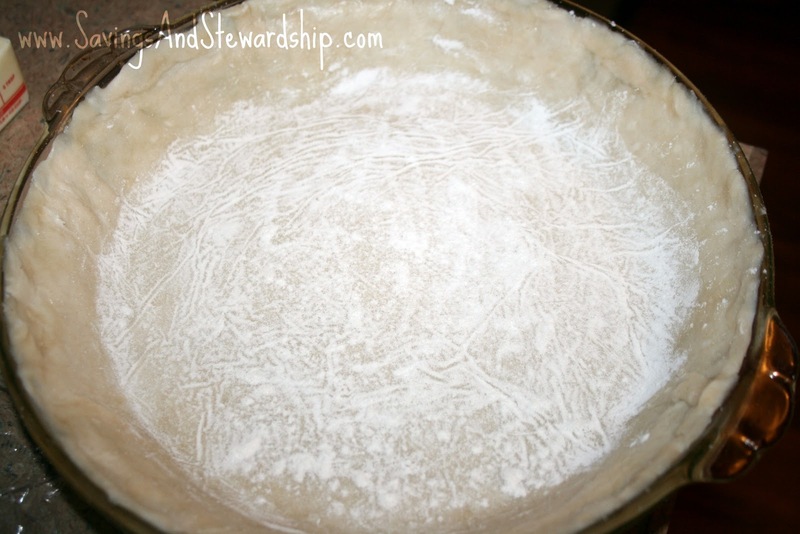 I use a basic pie crust with butter and minimal sugar. Granny Smiths are best and bananas instead of Sugar for the filling, along with a little vanilla, walnuts, lemon, nutmeg and allspice. 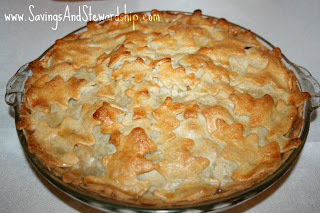 Your pie looks YUMMMY!!!!!! My fav is regular pumpkin pie, there is nothing better than one warm from the oven with a dollop of whipped cream on top…. 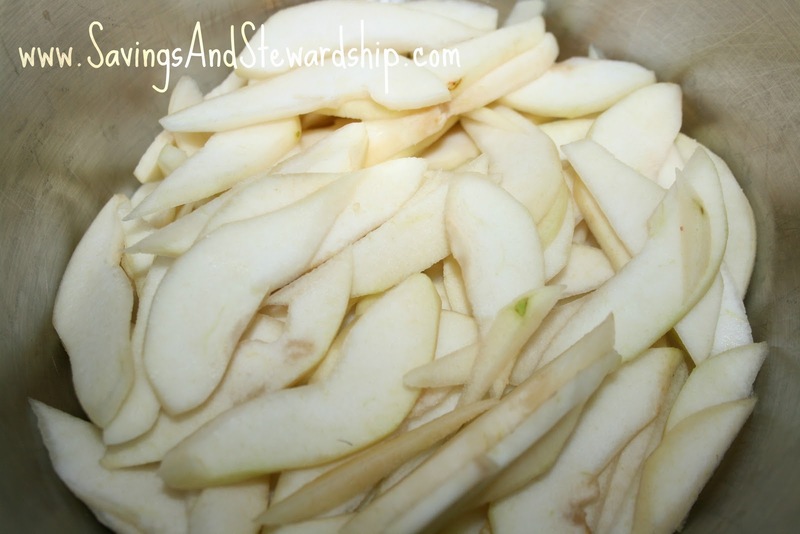 I love to make apple crisp in the fall! I'm not usually big on baking, but I LOVE apple crisp in the fall! I also followed you on Facebook. I love making apple pie! I love pumpkin bread! 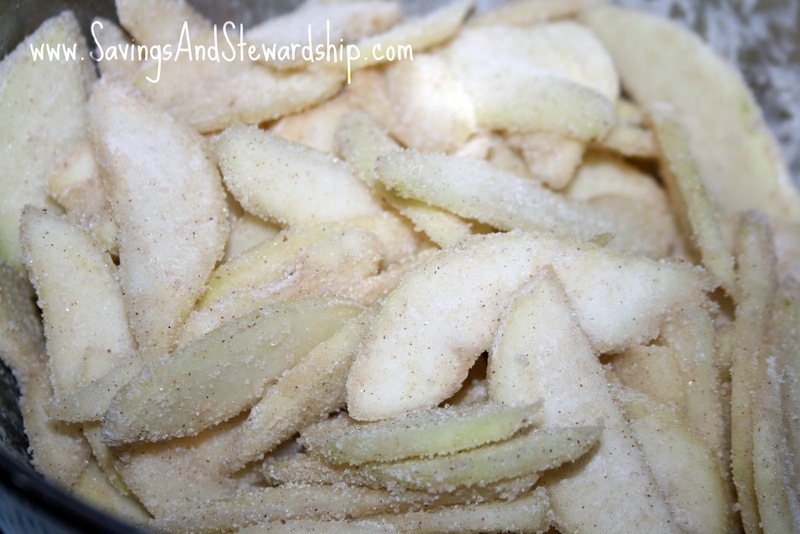 It is my favorite fall food Someone gave us a bunch of pears so I might have to make this soon. I love homemade pumpkin pie in the fall! Looks delish!! Can't wait to make it for the fam on Thanksgiving!! mthurst@lawny.org — sorry can't figure out how to post w/o picking anonymous! Apple Crumble Pie! 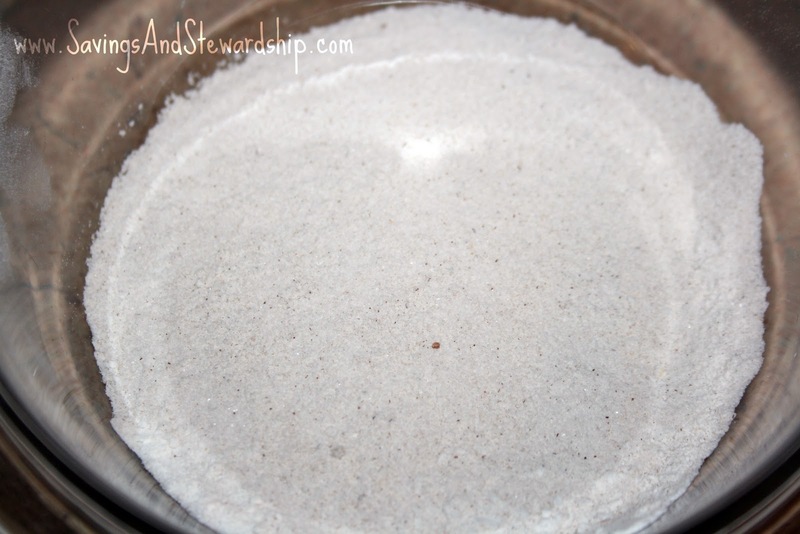 It is super easy to make and never lasts more than a few hours in my house! Thanks for the chance. I love making zucchini bread in the fall. It is so versatile. You can add extras like nuts or chocolate chips, or just make it plan. Any way you make it is so yummy! My favorite fall recipe is a Pumpkin Dump Cake…it is yummy and so easy to make. I love making pumpkin pie. And I recently discovered apple butter and pumpkin butter. YUM! My favorite Fall recipe is vegan pumpkin pie! Thanks for the giveaway! My favorite fall recipe is a pumpkin cake, with whipped cream on top, of course! My favorite fall recipe is Pumpkin 5-Spice icecream. My favorite fall recipe is a spiced pear cake…mm delish. Like you on Facebook, too! My family loves apple crisp and homemade strawberry applesauce. My favorite fall recipe is Carrot Cake…..! Mm that pie looks delicious! My favorite fall recipes include pumpkin! I just made a pumpkin cheesecake yesterday! I did make apple dumplings for the first time a few weeks ago and they turned out yummy! I love Mexican Chocolate Cheesecake.